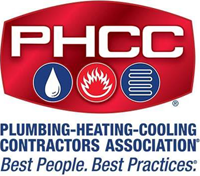 PHCC is the oldest trade association in the construction industry and the premier organization for the p-h-c professional. As a member of the PHCC, we're part of the largest membership association in our field. The attendant networking opportunities and educational resources means we're always up to date on the latest plumbing techniques. Established in 1984, the Stoneham Chamber of Commerce is the largest organization dedicated to business in the Town of Stoneham. The Chamber provides valuable resources, programs, tools, and services to support its business members, and fosters community involvement and civic pride.